A birthday card for my nephew who, by some weird effect of the passage of time, has just turned eighteen. I don’t have any large number dies, so I found a font I liked (far harder than it should have been really), printed it out and used it as a template to cut the numbers out of the Dufex card. Although I ended up creating my own numbers, I had been thinking about picking up the Woodware 18th birthday stamp and did a quick search to see how people were using it. 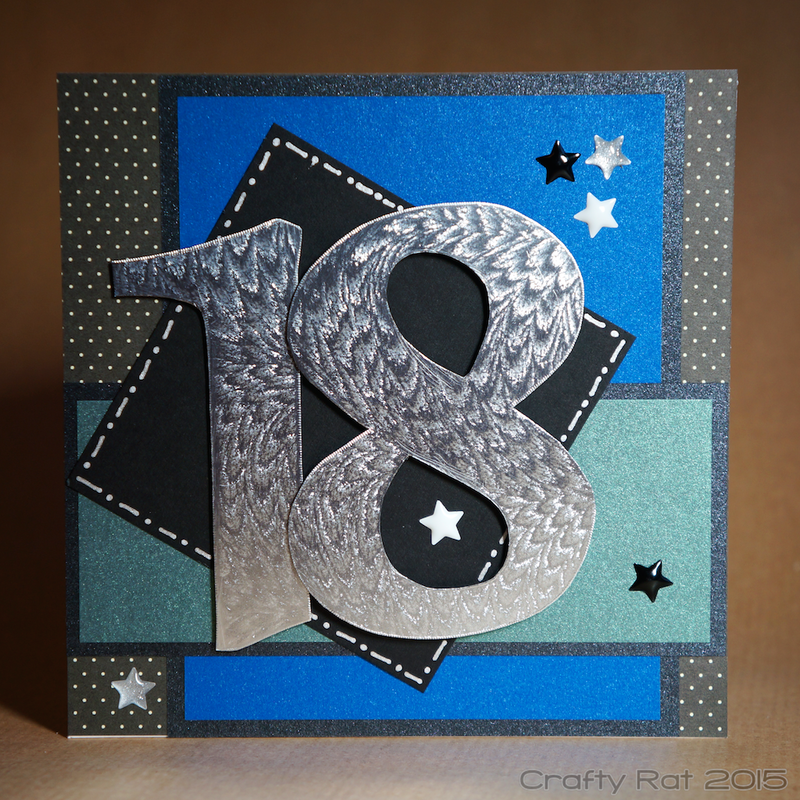 I came across this 18th card at Crafty Urchins and thought the paper layering style would work well for my needs.